Your life is always moving, and INFINITI InTouch seamlessly brings your world into your car by connecting with your smartphone. Stay ahead and in contact with your voice, calendar, navigation and music. 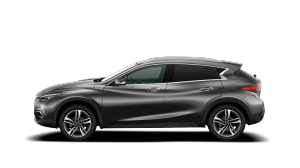 The INFINITI InTouch single display configuration is featured in the Q30/QX30. Find your way through busy streets and unfamiliar territory. INFINITI InTouch with Navigation lets you choose a view that’s most intuitive to you—a 2D overhead view or a 3D Birdview perspective. You can even search for a destination without knowing the specific name or category, then save it to start your journey. INFINITI InTouch delivers an intuitive experience right from your driver’s seat. 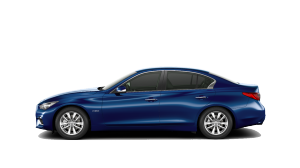 Once your smartphone is connected, you can interact with the state-of-the-art system however you find easiest—through the 7-inch color touchscreen, INFINITI Controller or voice command. Two USB ports give you twice the opportunities. Get instant access to your music library. Charge your smartphone. Listen to tunes on a USB stick or drive. An optional 10-speaker Bose® audio system will transform your INFINITI into a mobile sound studio. Turn your Bluetooth®-enabled smartphone into a source of music and listen to your top playlists over the audio system. With the INFINITI Bluetooth® Hands-free Phone System, you can make and receive wireless calls using voice recognition. No fumbling. No need for a headset. Just press a button on the steering wheel. INFINITI InTouch has all the great features you’d expect like calling, radio, driving performance monitoring and access to your favorite music by simply connecting your MP3 or smartphone. The INFINITI InTouch dual display configuration is featured in the Q50/Q60. And it’s not just the main driver who can enjoy a bespoke experience. The INFINITI InTouch system can remember, and automatically adjust to, the personal settings of up to four people – three registered users and one guest. This means each of you can personalize up to 96 settings and organize your apps menu and icons according to your individual preferences. The INFINITI InTouch system organizes the information intuitively over two state-of-the-art touch screens, so that you can get the information you need when and where you need it most. The top screen can be operated by touch, steering wheel switches or the INFINITI Controller. It is primarily used for driving information, including the monitor system and navigation. The bottom screen can be operated by touch and lets you manage the info-tainment systems, such as the apps, audio and climate control. Driving is serious business. Only use INFINITI InTouch services when safe to do so. Subscription Agreement required to enrol. Compatible smartphone required (IOS and Androids only), not included with vehicle. Cellular network and vehicle services provided by independent companies not within INFINITI’s control. Cellular network not available in all areas. The use of INFINITI InTouch features is subject to the customer’s own smartphone data plan. Ask your cellular network carrier for details. Not all apps featured are available for all models with INFINITI InTouch. PS mapping may not be detailed in all areas or reflect current road regulations. Certain apps and services, including Google Services, are provided by independent companies not within INFINITI’s control. Should app or service provider terminate/restrict service, service may be suspended or terminated without notice or liability to INFINITI and/or its agents. 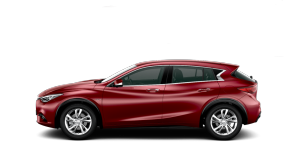 INFINITI is not responsible for any equipment or app replacement or upgrades, or associated costs that may be required for continued operation due to app or service changes. Terms and conditions of Subscription Agreement apply. Initial trial period starts on vehicle sale date; subsequently a paid subscription is required at the then current subscription rate. Standard text rates and/or data usage may apply to communications received by email or SMS/text message. Subscription Agreement required to enrol. Initial 2 years, beginning on your date of purchase, included for free. Subsequently, you will be asked to pay by credit card at the current subscription rate and your service will continue for 1 year periods under the terms of your Subscription Agreement. Email, Calendar, and connectivity to the App Garage to download or update Vehicle Apps requires internet connectivity through an active Smartphone Apps subscription to function. Some vehicle apps require the INFINITI InTouch App installed and logged in with an active account to function. Always give your full attention to driving. Avoid operating your iPhone® in such a way that you can be distracted during vehicle operation. See Dealer for details. iPhone® is a registered trademark of Apple, Inc. All rights reserved. iPhone® not included. Availability of specific features is dependent upon the phone’s Bluetooth® support. Please refer to your phone owner’s manual for details. Bluetooth word mark and logos are owned by Bluetooth SIG, Inc., and any use of such marks by Nissan is under license.